A long time ago in a galaxy far... no, wrong sci-fi series. 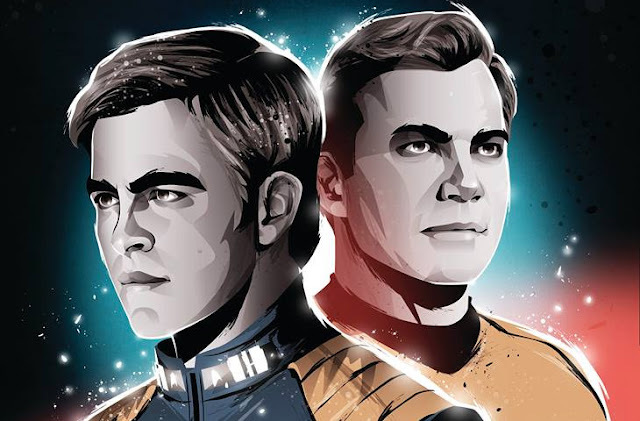 The new issue of Starburst is out now, and it's a Star Trek special! I actually started watching the original Trek series this month, so soon I'll be able to spot all the errors I missed when proofing this issue. No Trek content from me, as you may have guessed, but I've written an event report covering July's Manchester MCM, my reviews of The Booth at the End and Warship Jolly Roger are printed, and you can catch up on all things Doctor Who with my Outside the Box column. Starburst 428 is out now at some good newsagents! Or online!